hemmersam : float boards, swiming and canoes, west africa, 1645. Michael Hemmersam : Float Boards, Swimming and Canoes, West Africa, 1645. Description of the Gold Coast, 1639-1645. 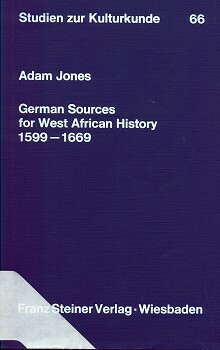 This account in German from West Afica was identified, along with several other associated sources, by Kevin Dawson in his perceptive essay Swimming, Surfing and Underwater Diving in Early Modern Atlantic Africa and the African Diaspora (2009). Hemmersam reports that when the canoes of two visiting Moors drifted away, the skipper threw them "a board," on which "they laid and swam ashore with it." In discussing chid-rearing, Hemmersam records that at age 2-3 years, mothers "tie the children to boards and throw them into the water, and so they learn to swim." He comments "Thus they are brought up with little trouble." Hemmersam notes that the coastal dwellers of West Africa "travel in little boats, which they call cano[es]," narrow and small, they are often capsized by the wind or waves. In this case, they depend on their ability to swim, and they prepare for such misadventure by binding the goods, usually cloth, to a light piece of wood, so that, if capsized, the goods float to the surface, and with the canoe and crew, come to shore. A long list of marine species are recorded as being caught by the local fishermen and the crews of the european ships. They include sharks, threadfin, freshwater African carp, manta ray, "flatfish," the African manatee, the flying gurnard, and the swordfish. While Hemmersam reports that some West Africans regard " fishes as sea-gods," Adam Jones suggests he was likely referring to the release of some species of fish from the catch, these considered by the native fisherman as sacred, or perhaps totems. A goldsmith from Nuremberg, Michael:Hemmersam embarked from Amsterdam for the Gold Coast in 1639 in the service of the Dutch West India Company. At the fort of Sao Jorge da Mina, recently captured from the Portuguese; he served for five years as a soldier, company leader, and goldsmith before returning to Europe in 1645. First published by his widow in 1663, Hemmersam's book was reprinted in 1669, with additional engravings, an index and a preface. Selections from the book appeared in German books between 1639 and 1674, a Swedish edition was published in 1674, and new edition in 1930. De Marees's description of the Gold Coast (1602) was the original template for Hemmersam's manuscript; but, with progressive editing, by publication, de Maree work was confined to approximately half of the middle section. "Compared with his contemporaries, Hemmersam was a poor observer of ethnographic detail and an even worse recorder of linguistic items. The most valuable sections are those in which he described his own experiences." "I have used the 1663 edition, omitting not only the passages plagiarised from De Marees but also those describing Hemmersam's departure from Holland, his journey to Africa and his return journey (via Brazil)." West Indian Voyage rom Amsterdam to St Jorius de Mina, which is a castle in Africa. For this temerity they are ounced as devils by the other Moors further inland.. They depend on their ability to swim, If the wind or waves throw their canoe over, because these vessels rather narrow and small, they are equipped as follows: the pieces of cloth which they have with them are tied together and attached to a light piece of wood. Consequently the cloth does not sink, but floats to the surface with them and their canoe, which they continue to follow until they recover it and come to the land were they want to arrive, together with their [p. 17] goods. When two Moors re on the ship Ambtsforth,(20) while they were below deck, their canoes drifted away, so without being at all afraid of drowning, they laid themselves on a board thrown out to them by the skipper and swam ashore with it. We were all quite amazed at this great feat of daring. 17. Villault (1669: 171) stated that people on the Ivory Coast brought rice, peas, beans, bananas, plantains, lemons, oranges, pineapples and sugar cane to the ships. 19. The canoes used on the Grain and Ivory Coasts were much smaller than those of the Gold Coast, generally holding only two or three men: Van den Broecke 1950: 23-4; Liibelfing 1612: 27; Van Noort 1926 I: 4; Groeben 1694: 49. 20 The Amersfoort of Amsterdam delivered goods valued at fl. 35,105 to the Gold Coast in 1639: Watjen 1915: 543. In the second and third year they tie the children to boards and throw them into the water, and so they learn to swim. Thus they are brought up with little trouble. [p. 57] The Moors eat [sharks], but the Dutch do not, because doing so deranges one's head. [p. 58] [Corcovado fish] taste good, especially the head, which is enough food for two people. There are also fish which we called 'snub nose':(67) they taste good, both boiled and roast. I have eaten them and consider them the best in the country. There are also fish called apoj, which are white and have red scales;(69) likewise others called diabel, but the Moors do not like eating these. There are also flat-fish, not unlike plaice: they are called buth (71) and are cooked with mille-flour and palm oil instead of butter. They roast such fish in an earthen ware pan: thus they become quite yellow, as if coated with saffron. We Germans gladly bought these fish from them. Besides these, all kinds of fish are caught, not all of which can be named. 67. Threadfin: Appendix A 219. 68. Probably the African carp (Labeo), a freshwater fish: see Irvine 1947: 239-41. 69. Burrito: Appendix A 217. 70. Portugese diabo marino 'devilfish' (manta ray). Hemmersam probably meant the eagle ray (Myliobatis aquila) or a species of sting ray (Trygon): see Irvine 1947: 99-103. 72. Hippocampus deani: see Irvine 1947: 123.
split, and they do not hold their tail like other fish, but turned on its side, like the whale. There are also fish which can fly, and indeed fly quite far. The natives once caught a large swordfish [i.e. sawfish], and as their canoe was too small for it, they paddled to a large ship, explained what had happened and asked for help. They were given a strong rope which was on the ship's capstan, and they pulled it on to their ship. After this they cut off its head with an axe and opened up the body, in which. they found sixteen live fish, which they sent ashore for people to see. The Moors shared out the swordfish among themselves. The sword, from which the fish derives its name, [p. 60] is as long as a man and the width of a hand, and on both sides it has barbs like boars' tusks. 73. Hemmersam's description fits the African manatee (Trichechus senegalensis). 74. Cf. Muller 1673: 225-6. Hemmersam's description fits the flying gurnard (Cephalacanthus valitans) better than the flying fish (Cypsilurus lutkeni): see Irvine 1947: 121-2, 205-6. 75. By pent Hemmersarn presumably meant what Muller (1673: 263) called bend' abien. 76. cr. Brun 1624: 35. 77. See Brun 1624 n. 128. Just before Hemmersam's departure from the Gold Coast, Akani traders delivered 450 marks (3,600 ounces) of gold to the Dutch at Sao Jorge da Mina, More and Accra within ten days: Garrard 1980: 154. Whenever we heard about their [p. 70] superstition, we contradicted it, telling them that they believed in the Devil. We spoke to them about God from Holy Scripture and had the impression that we had converted them. But they still stuck to their opinion. 90. Hemmersam was probably referring to the fact that certain fish are regarded as sacred and are therefore thrown back into the water if caught: cf. Irvine 1947: 127. Voyages en Afrique, Asie, Indes orientales, & Occidentales. divisez en six livres, & enrichis de Figures. Geoff Cater (2013) : Michael Hemmersam : Float Boards, Swimming and Canoes, West Africa, 1645.